ALERT (ADJ) QUICK TO SEE, UNDERSTAND ANBD ACT IN A PARTICULAR SITUATION. BRANCH (N) ONE OF THE PARTS OF A TREE THAT GROWS OUT FROM THE MAIN TRUNK AND HAS LEAVES, FRUIT AND FLOWERS. CLEARING (N) AN AREA OF WOOD OR FOREST FROM WHICH TREES AND BUSHES HAVE BEEN REMOVED. CROP (N) A PLANT SUCH AS A GRAIN, FRUIT, OR VEGETABLE THAT IS GROWN IN LARGE AMOUNTS BY FARMERS. DEBATE (N) A SERIOUS DISCUSSION OF A SUBJECT IN WHICH MANY PEOPLE TAKE PART. ENDANGERED SPECIES (N) A TYPE OF ANIMAL THAT MAY SOON NOT EXIST BECAUSE THERE ARE VERY FEW ALIVE NOW. EXHAUST FUMES (N) THE WASTE GAS FROM A VEHICLE’S ENGINE? GO AHEAD (V) TO GO SOMEWHERE BEFORE THE OTHER PEOPLE YOU ARE WALKING OR TRAVELLING WITH. HABITAT (N) THE NATURAL ENVIRONMENT IN WHICH AN ANIMAL OR PLANT USUALLY LIVE. IDLY (ADV) WITHOUT ANY PARTICULAR PURPOSE? IN THE WILD (N) IN NATURAL CONDITIONS, INDEPENDENT OF HUMANS. KEEPER (N) A PERSON WHO TAKES CARE OF ANIMALS IN A ZOO. LEVEL (N) THE HEIGHT OF SOMETHING. LITTER (N) SMALL PIECES OF RUBBISH THAT HAVE BEEN LEFT LYING AROUND ON THE GROUND IN PUBLIC PLACES. MACHETE (N) A LARGE KNIFE WITH A WIDE BLADE USED FOR CUTTING TREES OR PLANTS OR AS A WEAPON. NATURE RESERVE (N) AN AREA OF LAND WHICH IS PROTECTED IN ORDER TO KEEP ANIMALS AND PLANTS SAFE. PLAY A PART (V) TO HELP TO ACHIEVE SOMETHING. POLLUTION (N) DAMAGE CAUSED TO WATER, AIR ETC. BY HARMFUL SUBSTANCES OR WASTE. REMOTE (ADJ) DESCRIBES AN AREA, HOUSE OR VILLAGE THAT IS A LONG WAY FROM TOWNS OR CITIES. SCRAMBLE (V) TO MOVE OR CLIMB QUICKLY BUT WITH DIFFICULTY, OFTEN USING YOUR HANDS TO HELP YOU. SLIP (V) TO GO SOMEWHERE OR DO SOMETHING QUICKLY, OFTEN SO THAT YOU ARE NOT NOTICED. SNEEZE (V) WHEN AIR AND WATER DROPLETS SUDDENLY EXIT THE NOSE AND MOUTH IN AN UNCONTROLLABLE WAY. SNIFF (V) TO SMELL SOMETHING BY TAKING AIR IN THROUGH YOUR NOSE. SQUAT (V) TO POSITION YOURSELF CLOSE TO THE GROUND WITH YOUR LEGS BENT UNDER YOUR BODY. SURFACE (N) THE OUTER OR TOP PART OR LAYER OF SOMETHING. THREAT (N) SOMEONE OR SOMETHING THAT IS LIKELY TO CAUSE HARM OR DAMAGE. WANDER (V) TO WALK AROUND SLOWLY IN A RELAXED WAY OR WITHOUT ANY PURPOSE OR DIRECTION. WATCHFUL (ADJ) PAYING CAREFUL ATTENTION AND READY TO DEAL WITH PROBLEMS. FUTURE SIMPLE WITH THINGS THAT ARE NOT CERTAIN, WITH I THINK, I HOPE, I EXPECT, PROBABLY AND MAYBE. SHE WILL PROBABLY PHONE LATER. I THINK IT WILL BE WARMER NEXT WEEK. PREDICTIONS FOR THE FUTURE THE CLIMATE WILL CHANGE. SEA LEVELS WILL RISE. EXPRESS A DECISION MADE AT THE MOMENT OF SPEAKING. WILL YOUHELP ME WITHMY HOMEWORK?I WON’T FORGET TO GIVE YOU A PRESENT.I’LL BUY YOU A SANDWICH IF YOU ARE HUNGRY. THAT’S THE PHONE RINGING – I’LL GET IT! GOING TO FUTURE 1. PREDICTIONS ABOUT THE FUTURE WITH EVIDENCE. YOUR WORK IS SO GOOD THAT I THINK YOU ARE GOING TO GET A GRADE A.LOOK AT THE CLOUDS! I THINK IT IS GOING TO SNOW. 2. FUTURE PLANS AND INTENTIONS HE’S GOING TO PHONE YOU TOMORROW. HE IS GOING TO UNIVERSITY. PRESENT CONTINUOUS FOR THE FUTURE. THINGS ARRANGED BETWEEN PEOPLE I’M SEEING THE DENTIST TOMORROW. 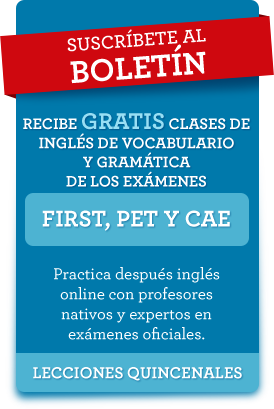 PRESENT SIMPLE EVENTS FIXED ON A TIMETABLEONLY A FEW VERBS ARE USED IN THIS WAY: OPEN, CLOSE, BEGIN, END, START, FINISH, ARRIVE, LEAVE, DEPARTS, TAKES OFF. THE FLIGHT TO MADRID TAKES OFF AT SIX.OUR TRAIN LEAVES AT TEN. THE FUTURE PERFECT EXPRESSES THE IDEA THAT SOMETHING WILL OCCUR BEFORE ANOHER ACTION IN THE FUTURE. BY NEXT YEAR, I WILL HAVE RECEIVED MY PROMOTION. HE WILL HAVE MADE A MILLION EUROS BY THE TIME HE IS 25.